The reason why German-based carmakers are so good at building estates is because Europeans are extremely practical when it comes to family matter, and the latest generation models are indeed extremely handy and wanted. Mercedes-Benz is top notch when it comes to creating the most wonderful and practical estates, and just like the latest Touring from its direct competitor BMW 3-Series, the all-new 2018 C-Class Estate also brings along an extraordinary design, increased space inside and sheer performance under the hood. Speaking of the latest C-Class Estate, Mercedes-Benz is preparing the model for an official debut at the 2017 Frankfurt Motor Show, starting this September, but until then, the company wants to make sure that everything is in order with the final tests. Seen here wearing no camouflage except for the front bumper, the all-new 2017 Mercedes-Benz C-Class Estate is looking hot with the improved aesthetics. It is based on the sedan and is set to future the new generation of headlights and taillights, adding as well new alloy wheels and improved features inside the cabin. And since we are at it, the cabin retains the general aspect, but will come with new trims and the company`s latest technology and gadgetries. 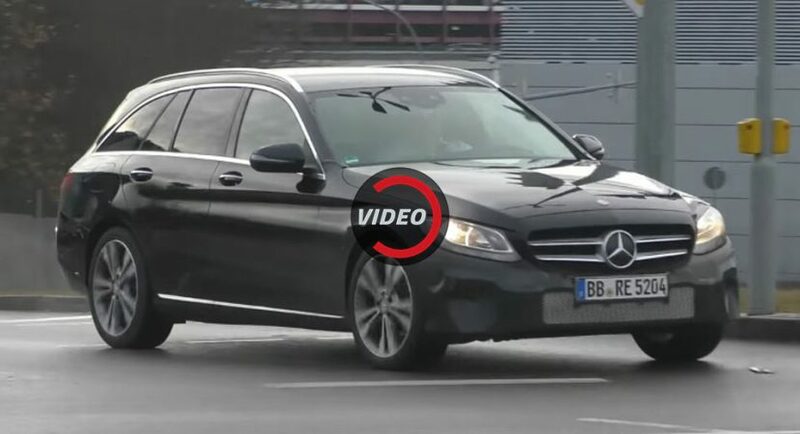 As for the car`s engine lineup, the estate`s is likely to borrow the new S-Class`s powertrain range, meaning a wide range of new six-cylinder inline engines. Unfortunately, for the moment, there are no official details concerning the car`s new engines. Stay tuned for more info and enjoy the spy video with the all-new 2018 Mercedes-Benz C-Class Sedan!